Historic experiences to explore at leisure. When planning the perfect getaway it’s always good to build in some flexibility. Who knows what might come up or what the weather might do. It is Wales after all. 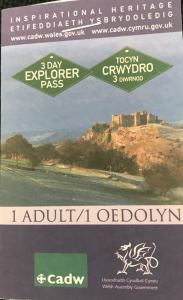 One thing you can depend on is Cadw’s 3-day or 7-day Explorer Passes. 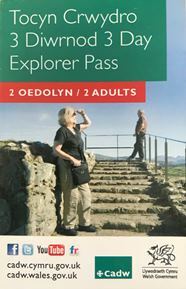 They provide a great value way to explore the wealth of historic attractions Wales has to offer. 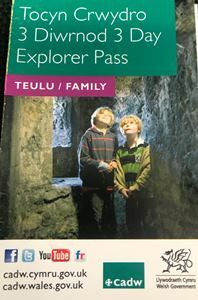 The passes offer you the freedom to explore dozens of Cadw's historic attractions (full details below), and help you get the most out of your visit to Wales. 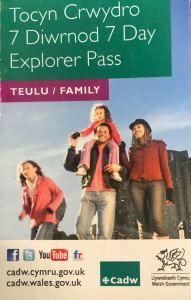 The 3-day pass can be used in any 7-day period and the 7-day pass in any 14-day period. 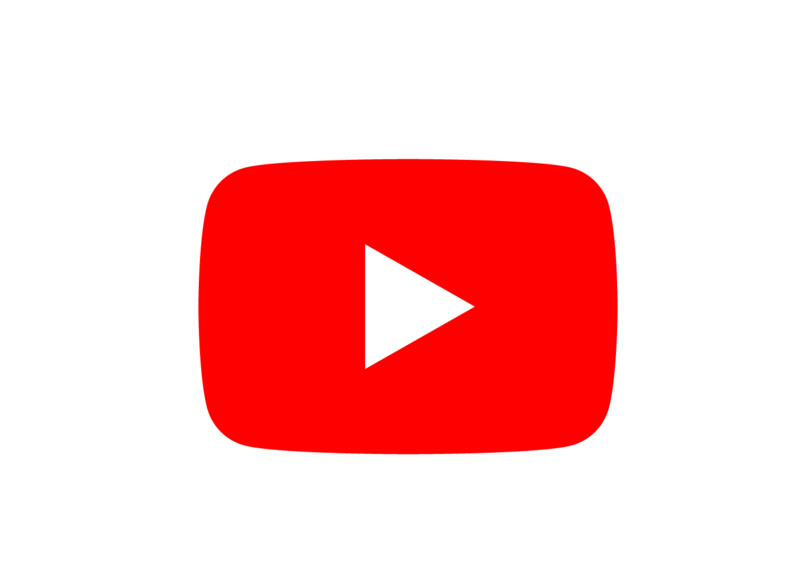 The more the pass is used, the greater the savings. While we aim to maintain sufficient levels of stock, we reserve the right not to ship a product if we are unable to do so for whatever reason. In this instance the amount you paid for the product and associated postage will be refunded by the original payment method. The product shipped may sometimes differ slightly from the product shown in the image(s). P&P is calculated by the total weight of the items you are ordering. You will be quoted a postal rate before you go to the checkout and pay for your order. Please ensure that the details you give match those on your payment card billing statement. We also reserve the right to cancel an order if payment is declined or incorrect cardholder details and billing information have been supplied. We aim to dispatch orders within 3 working days of receipt of order. We will deliver your parcel via Royal Mail. 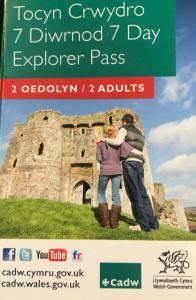 Monmouthshire County Council does not accept responsibility for products that are lost or stolen. Please contact us directly if you wish to make any changes or amendments to your purchase. Contact details are presented on your order receipt. 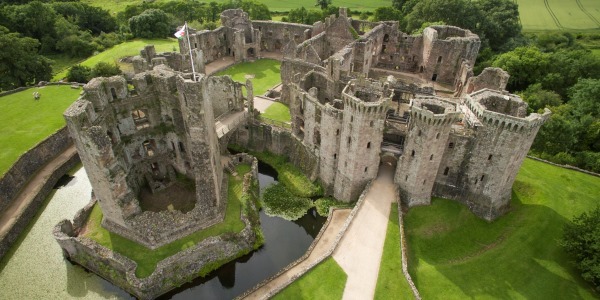 Regrettably we cannot offer refunds or returns on the Cadw passes. 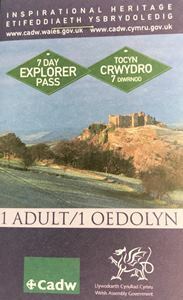 If this is a personal purchase and you are a UK taxpayer*, Monmouthshire County Council can increase the value of your purchase without costing you a penny. If you tick the 'Reclaim Gift Aid' box and fill in your full name and home address details, Monmouthshire County Council will be able to claim at least 25% extra from the Government on top of your purchase made through Visit Monmouthshire. Your name and address will be forwarded to Monmouthshire County Council in this case to allow them to claim the Gift Aid. *You must have paid UK tax this year at least equal to the 25% Monmouthshire County Council will claim.